Update – The NPSTC Radio PCR Working Group is currently working on a new version of the Radio Programming and Management Tool (PAM) which will be compliant with the current NIFOG. DHS S&T has completed testing of the PAM Tool, which will be posted to the NPSTC website as well as the SAFECOM website soon. NPSTC is making a final quality assurance check and relocking the spreadsheet. NPSTC is working with the Telecommunications Industry Association (TIA) on a project to create a standardized way for radio manufacturers to export and import basic radio programming data. Most radio vendors use proprietary software in their programmable radios. 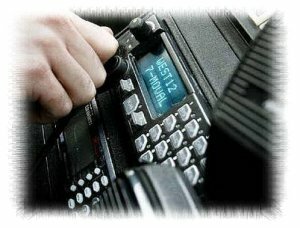 This can make it difficult for first responders with limited technical expertise to program the equipment, and, historically, it has often hampered interoperability among radios used by emergency responders from different jurisdictions. In one particular incident in 2011, Pinellas County, FL's communications manager, Pam Montanari, was unable to connect the county's trunked system to the portable radios used by a neighboring jurisdiction. As a result, the county failed to receive the assistance it needed to handle an emergency situation. That incident contributed to the start of a major effort by the National Public Safety Telecommunications Council (NPSTC) to develop radio programming compatibility requirements for the public safety sector. To read the Full Report and download the revised spreadsheet Tool, see "Documents" section at the right. The group meets quarterly and did not meet in August. Final revisions to Version 7 of the PAM Tool are complete and the new version will be posted on a number of sites, including the NPSTC website, following the Governing Board meeting in September.